The new BirdCage PRO is an innovative professional cage designed to fit like a glove around the latest mirrorless Sony A7RII and A7SII cameras featuring the exclusive LockCircle “Asymmetrical Design Approach” for right hand camera grabbing and control with the original camera ergonomic feeling. 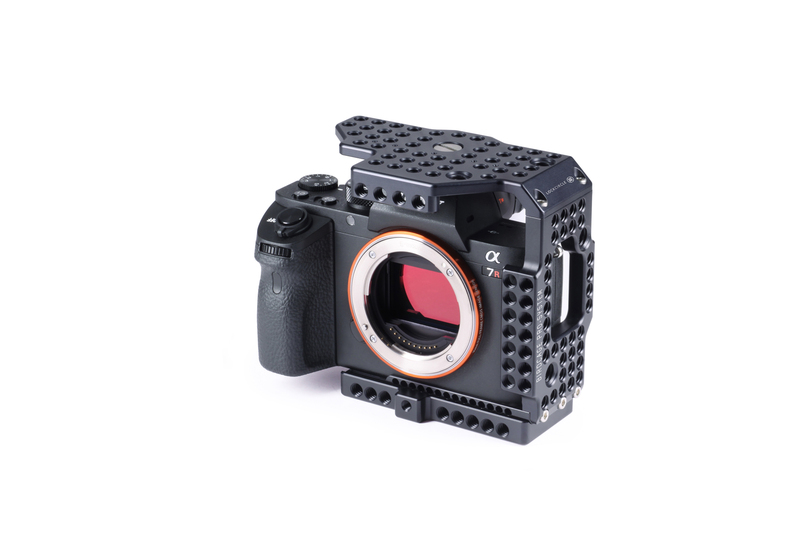 Designed for comfortable grip and action, leaving on the left side of the camera all the production tools and accessories mounting: a still and film camera without the limitations of other cages. Incredible lightweight, only 128 grams (4.5 oz.) with the Ultra-Thin Baseplate.